We offer you here a piece - approx. 300 gr. 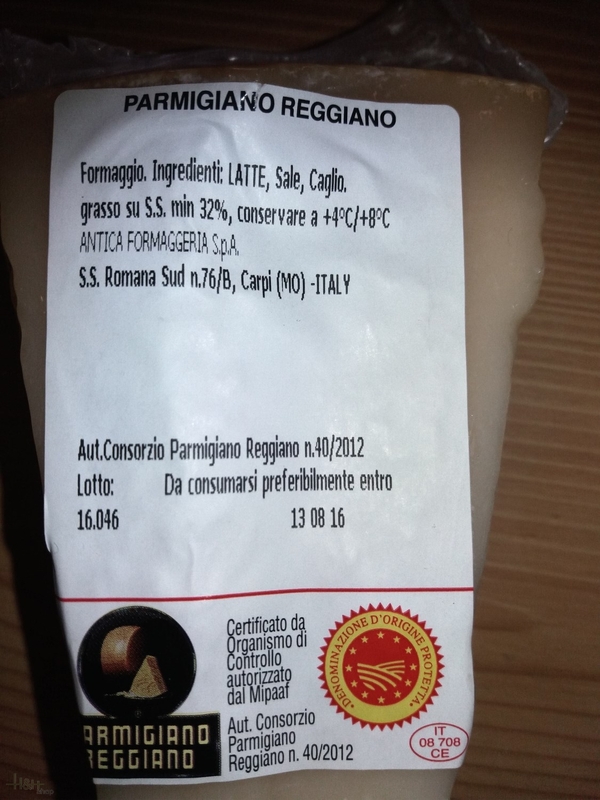 of a Parmigiano Reggiano. 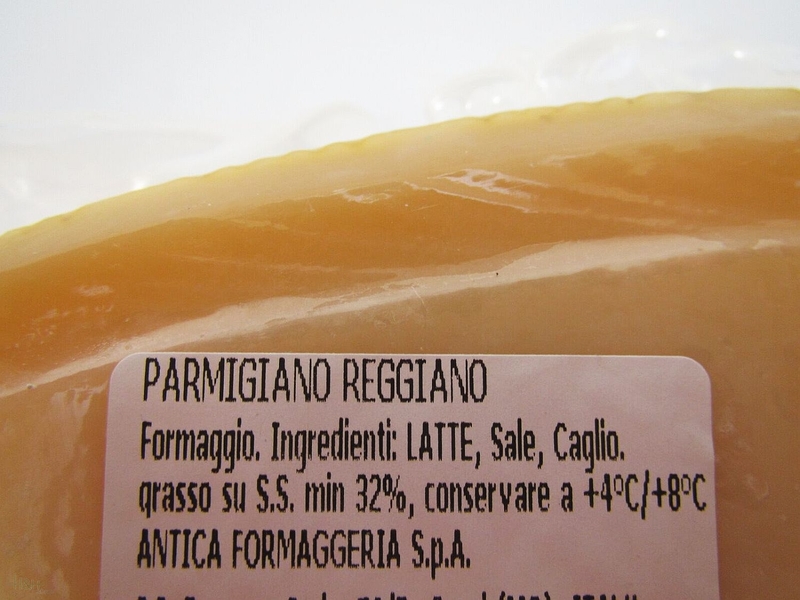 The Parmigiano Reggiano is an extra hard cheese Parma and Reggio in the area Emilia Romagna. He matures at least 24 months only in 16-18°C and later in 10-12°C. Parmigiano Reggiano fits very well to paste dishes, but also together with fruit, as an aperitif to the wine or after eating with grapes or dry fruits. Buy now this product together with Fioretto Pecorino Sepi approx. 750 gr. ready for shipment: in stock Fioretto Pecorino Sepi approx. 750 gr. Did find any information on package about cheese age. A little bit expensive imo, but its Reggiano after all. Тут и говорить нечего -Пармеджано реджано в своем лучшем проявлении. 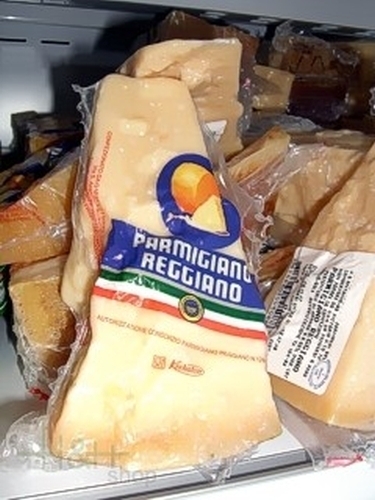 The great real taste of Parmigiano Reggiano! but a bit expensive. 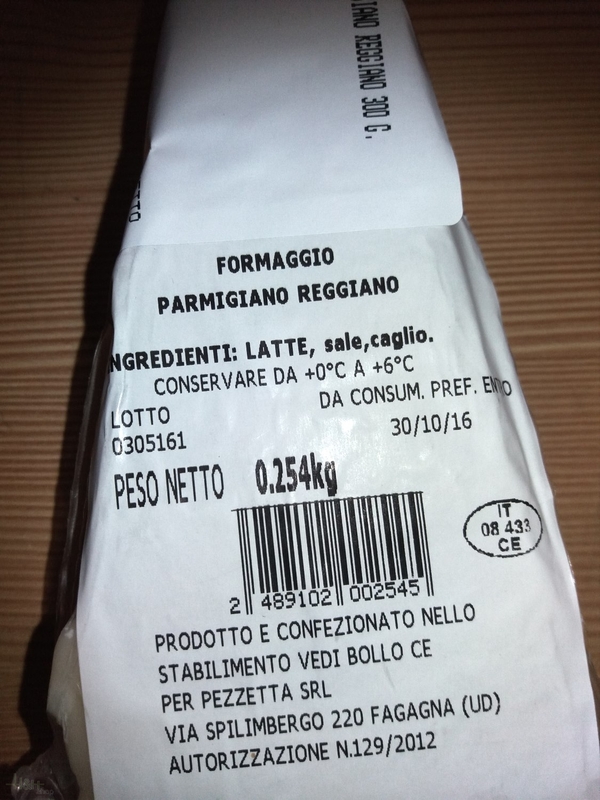 Корочку никто не обрезает — на ней выбиты слова Parmigiano Reggiano (как и должно быть у настоящего пармезана DOP(!!!)). Сыр в идеальном состоянии: твёрдый, колется, пряный на вкус. Корочку заботливо обрезают :) Термоупаковка, с учётом времени пути, конечно, не спасает, но сыр всёравно доезжает нормально. Good! :-) I will order again. Parmesan - my love. Great taste! good quality first rate ..